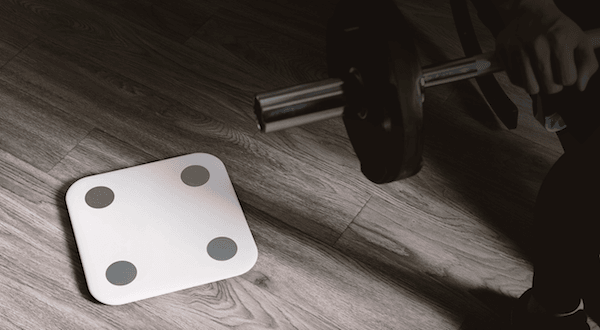 Xiaomi is all set to make a mark in the digital fitness industry of India by introducing a new product this year – the Mi Body Composition Scale. The Mi Body Composition Scale won’t just tell you about your weight but will also report more body characteristics like muscle mass, BMI, body fat etc. This product is going to be a step ahead than the already existing ones in the Indian market right now. Being priced at Rs 1,999, the Mi Body Composition Scale will be available exclusively on the Mi Store – Mi.com starting from noon, March 15, 2018. The scale offers an elegant design with a polished surface which results in a slip-resistant yet smooth finish which makes it safe to use even with wet feet. Also, an attractive LED display pops up after three seconds of stepping on the scale. The only drawback with the device might be that it comes in white colour only. 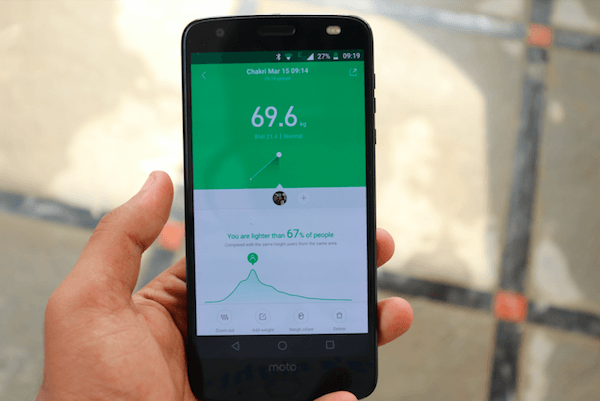 The scale also offers a wide range of stats and data by syncing with the Mi Fit Smartphone application. The application provides a nice UI for the users of Mi, and another impressive add-on which we get to see from the manufacturers is the ability of the scale to pair up with the Mi Band. So, the users of Mi band get a lot of benefit by owning this Body Composition scale by Xiaomi. Another feature which makes the Mi Body Composition Scale worth the money is its ability to store and identify different users. The device can store up to sixteen different profiles and can easily identify who stepped on the scale, providing embedded features on the phone application. The battery backup of the scale also seems to be sufficient as the company claims that the scale can go on up to eight months without a battery change. The device uses four standard AAA size batteries which come with the device out of the box when we make a purchase. It is interesting to see that Xiaomi is expanding their horizon for the Indian market. They have already released the Mi TV 4 series in the country and plan to further that later in the year. With the new fitness products, they are making a worthy addition to their attractive line-up of products. All this along with the high-end Redmi phones, add to the hype of Xiaomi products. Is it the mi smart scale 1 or 2?